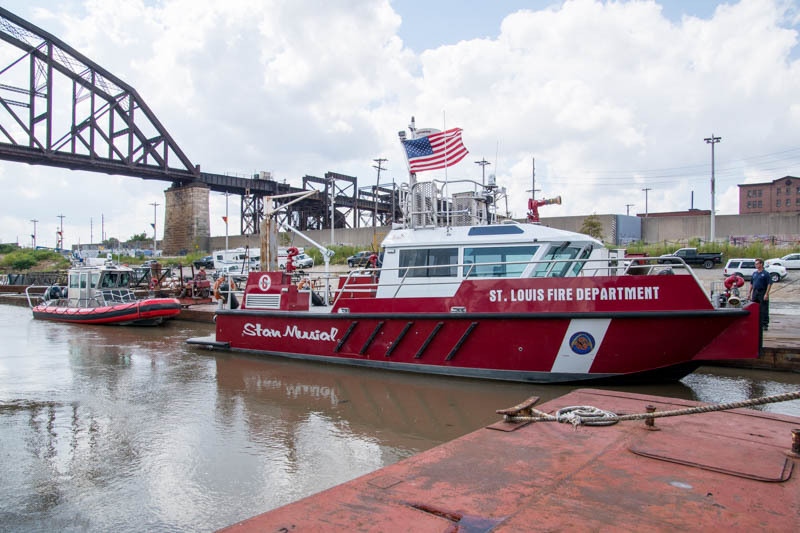 The St, Louis fireboat located on the banks of the Mississippi River. 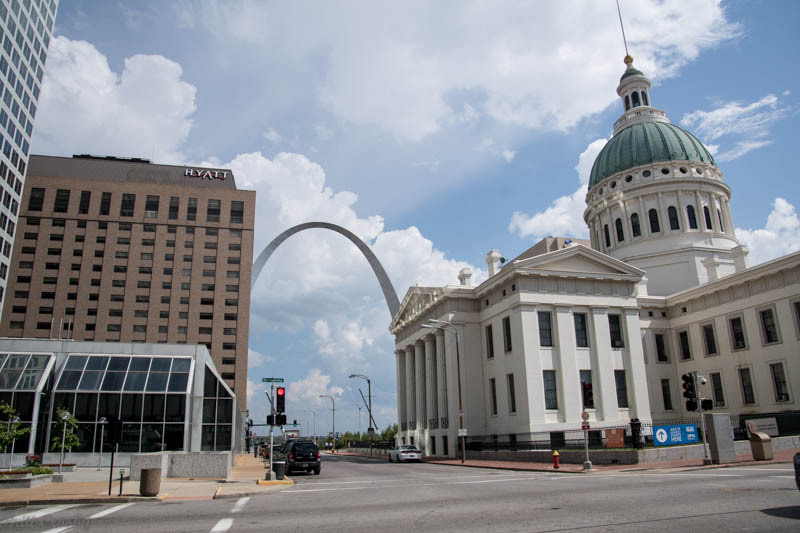 We headed west on I-64 from Clarksville, IN through some hills and farmlands in southern Indiana and southern Illinois towards St. Louis. 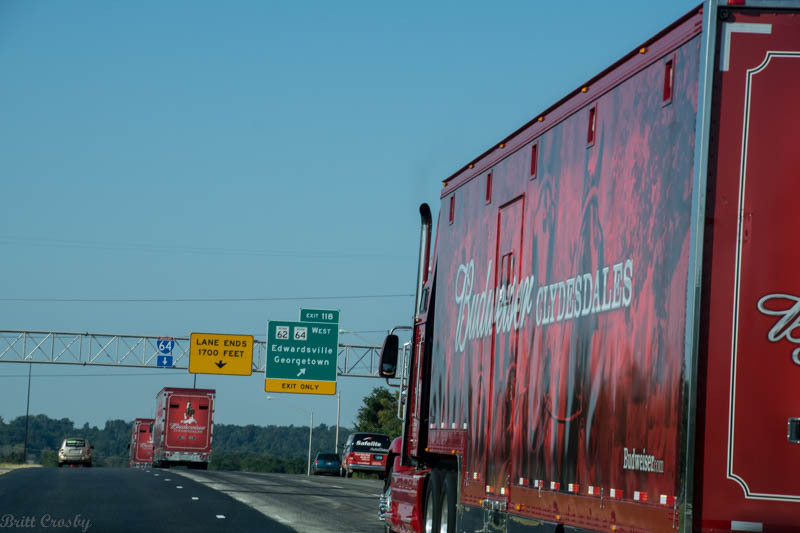 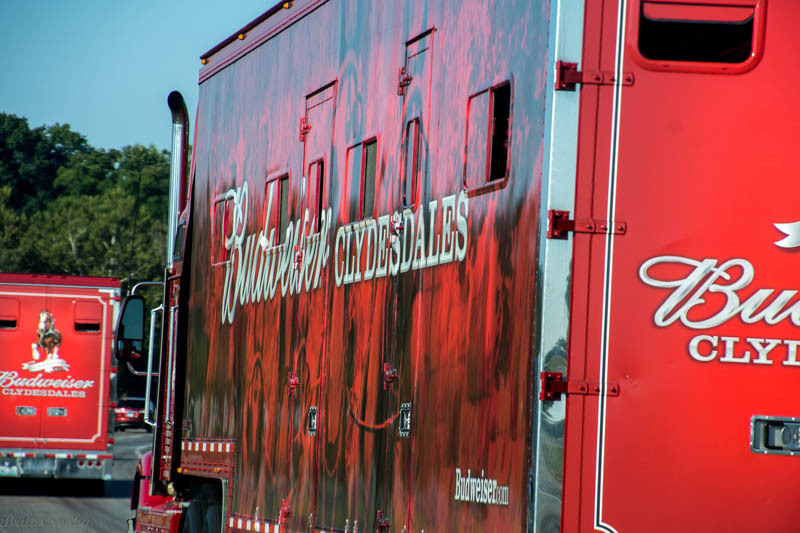 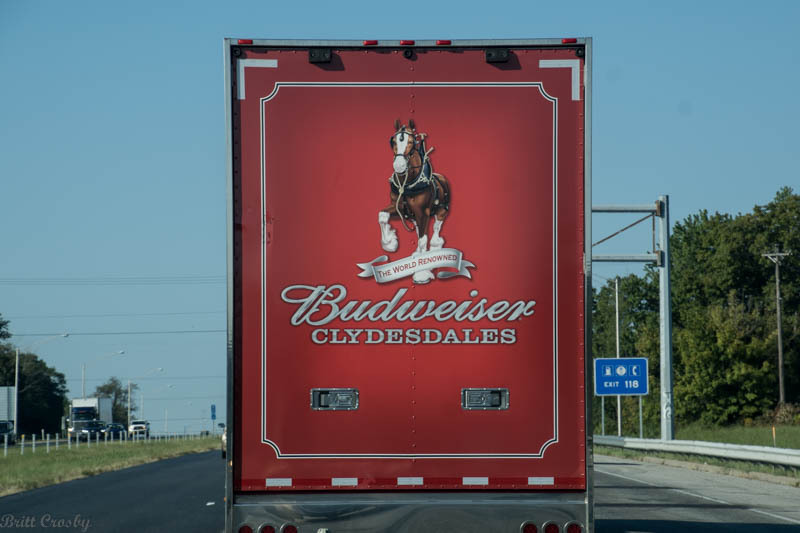 At one point, we found ourselves traveling along next to several world famous Budweiser Clydesdales trucks. 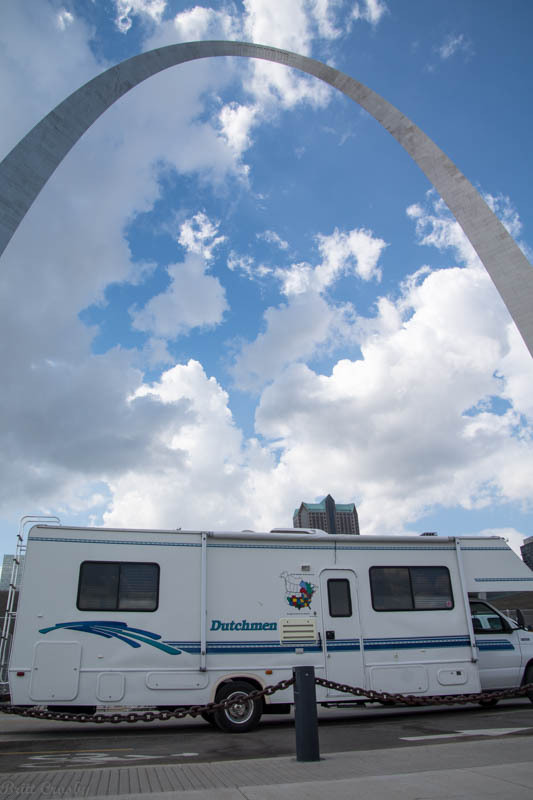 We arrived in St. Louis, MO around noon. 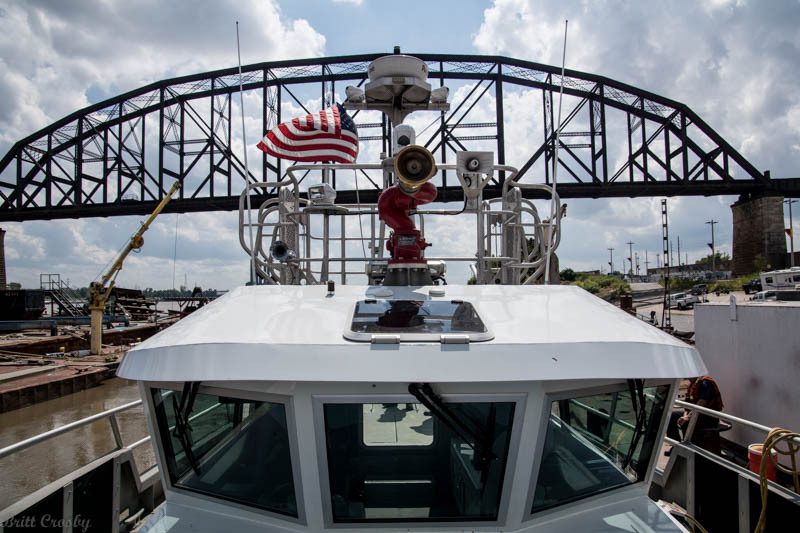 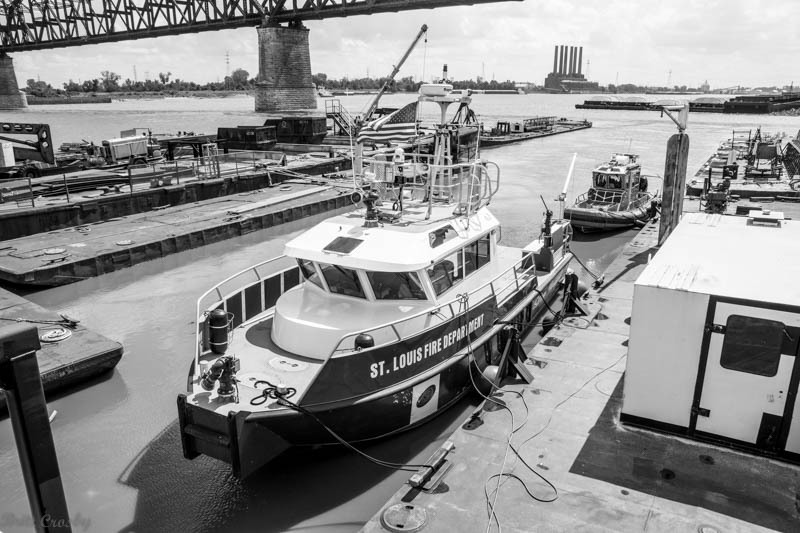 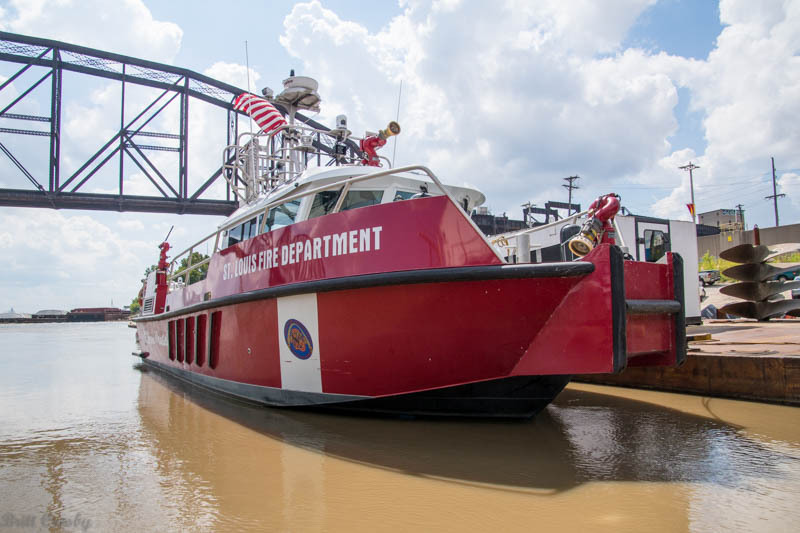 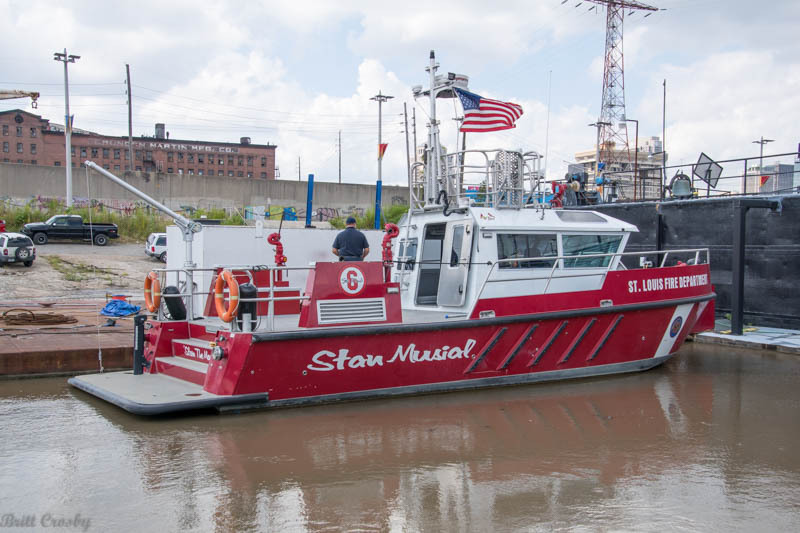 After a couple phone calls we met up with a crew at the St. Louis Fireboat 6 "Stan Musial" and a smaller boat along the bank of the Mississippi River. 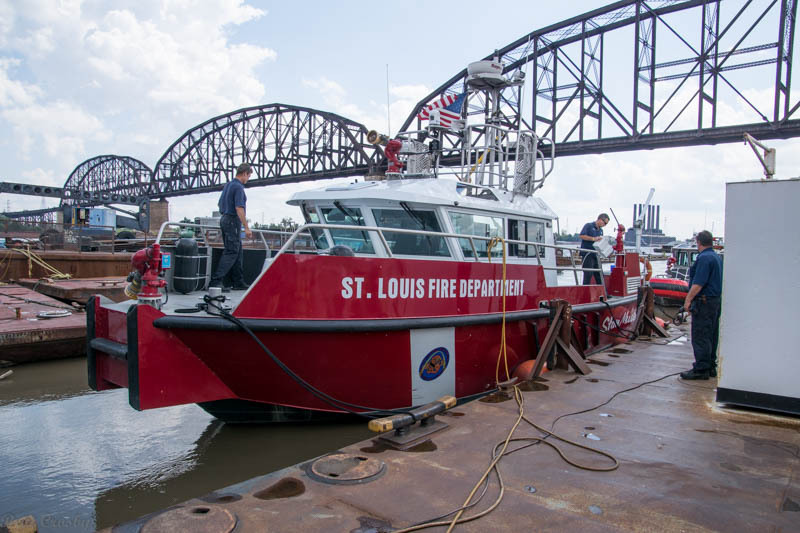 It would have been difficult at best to have found these boats on our own, so the help of the crew was greatly appreciated. 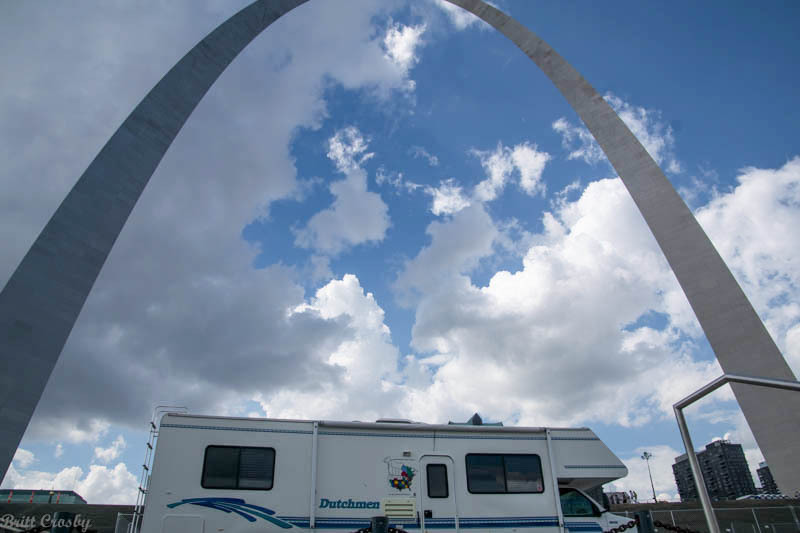 After a brief photo opportunity at the Gateway Arch, we headed back east into Illinois and north on I-55 towards Springfield, IL. 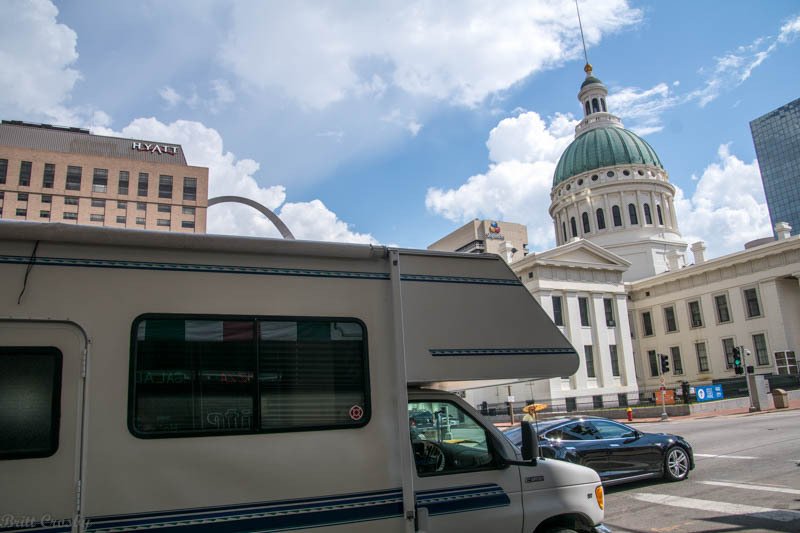 Our campground for Night 5 was at Springfield, IL. 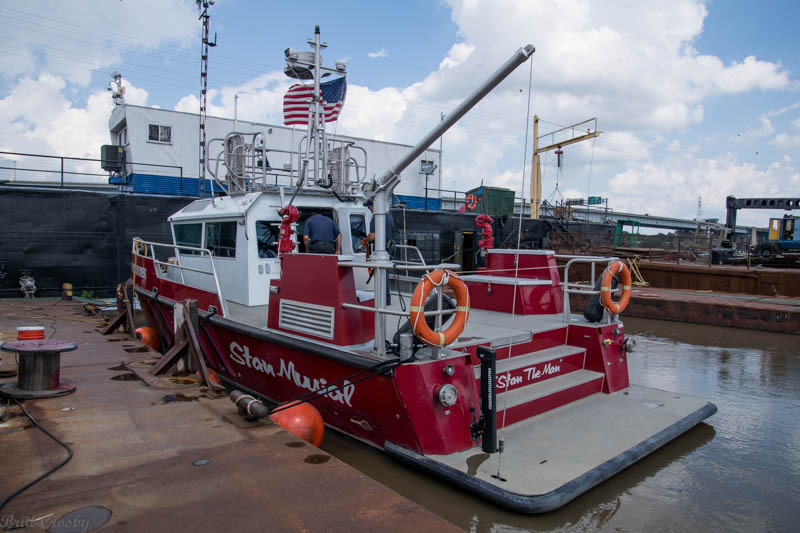 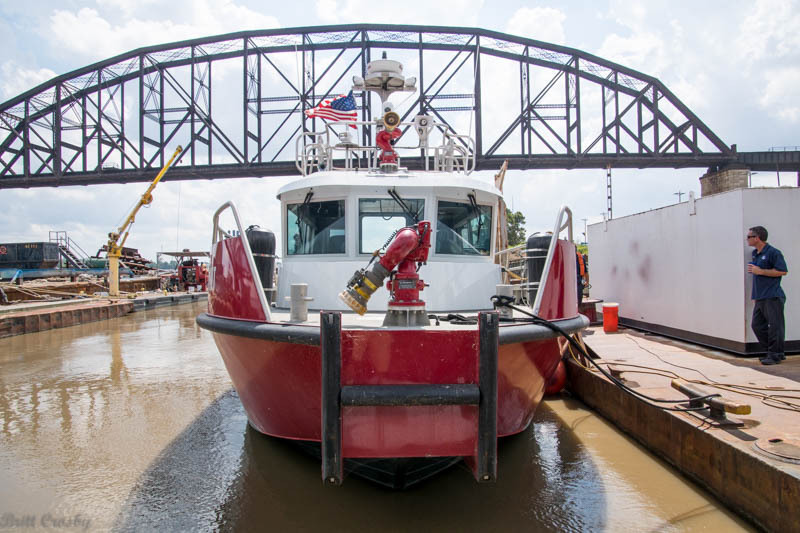 St Louis Fireboat 6 "Stan Musial" named after the famous St Louis Cardinal's slugger. 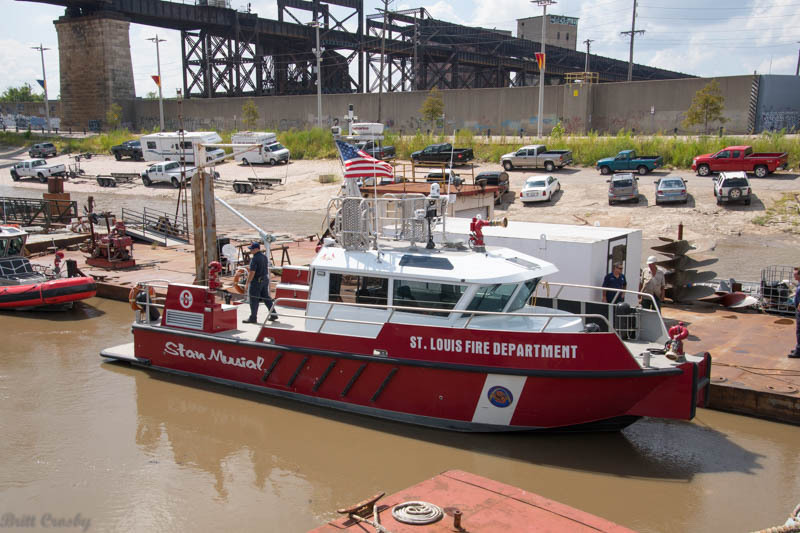 Musial wore #6 on his uniform, thus the designation Fireboat 6. 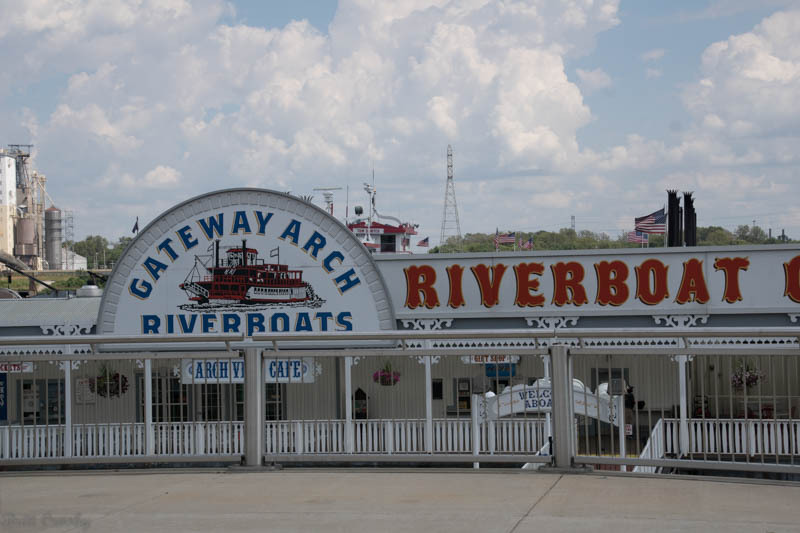 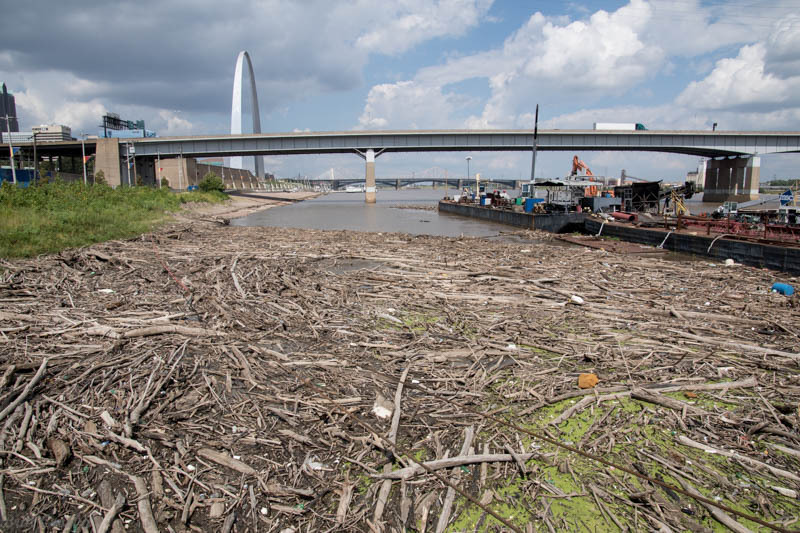 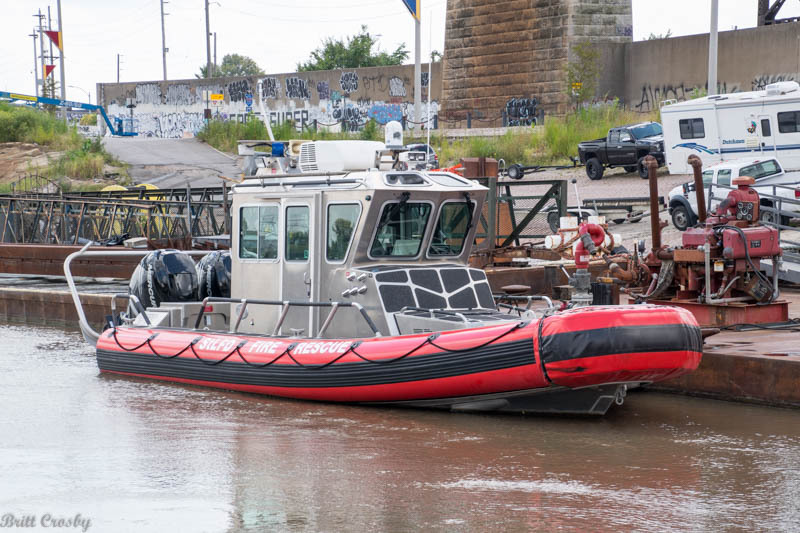 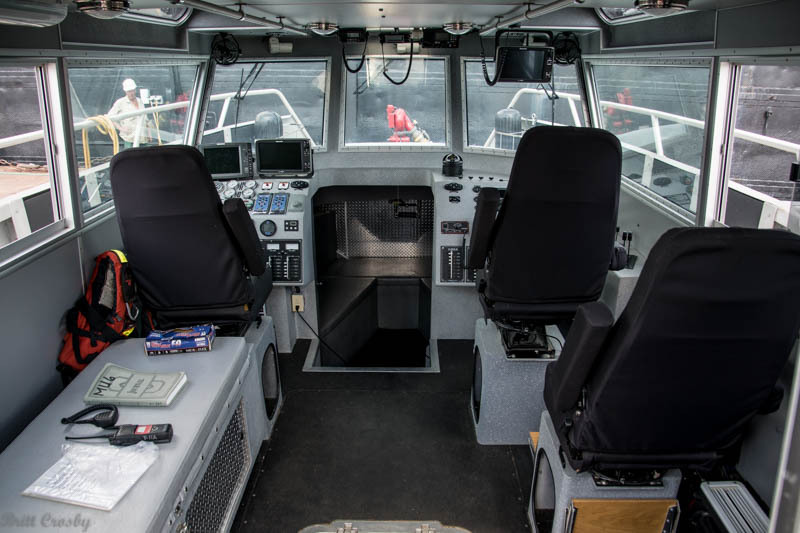 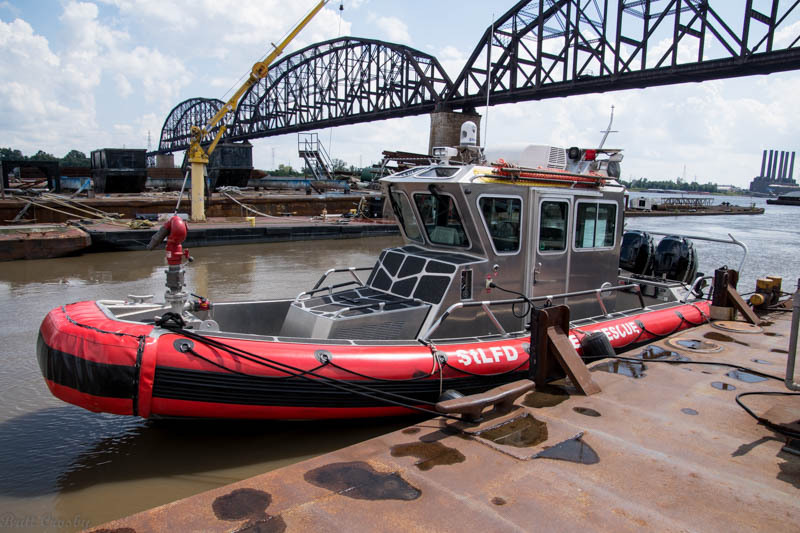 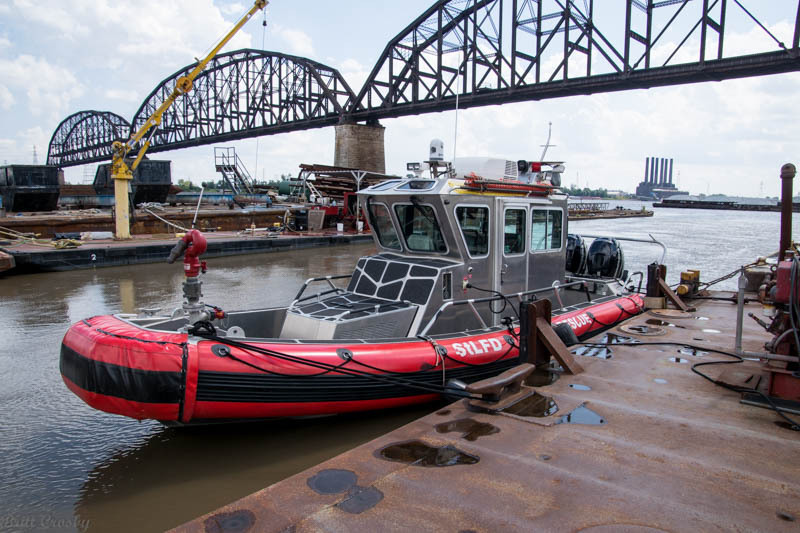 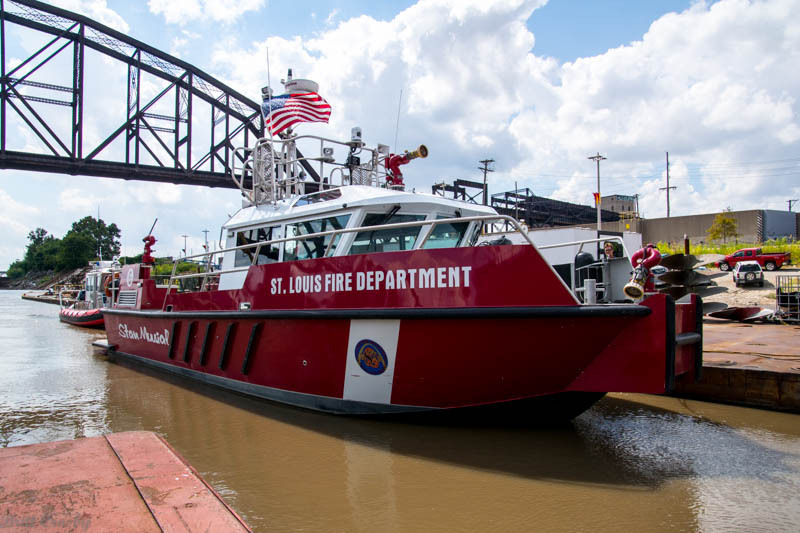 St Louis FD Safe Boat used for river rescues. 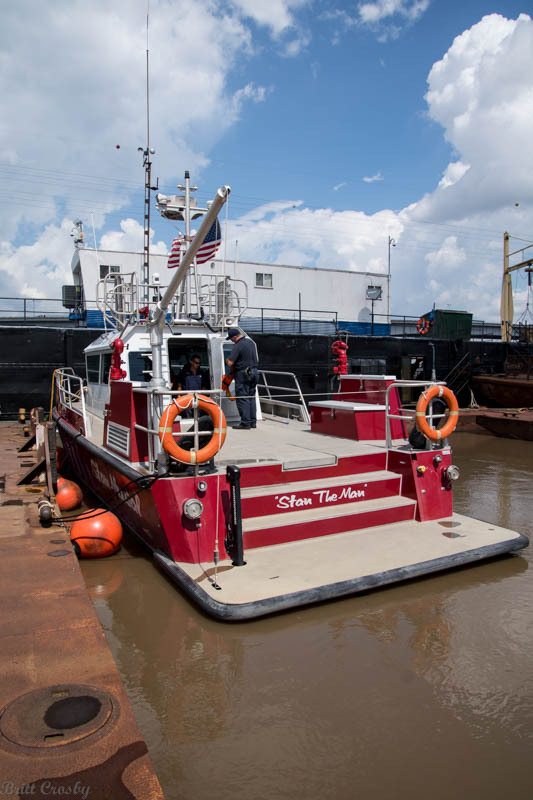 that operate on the river.